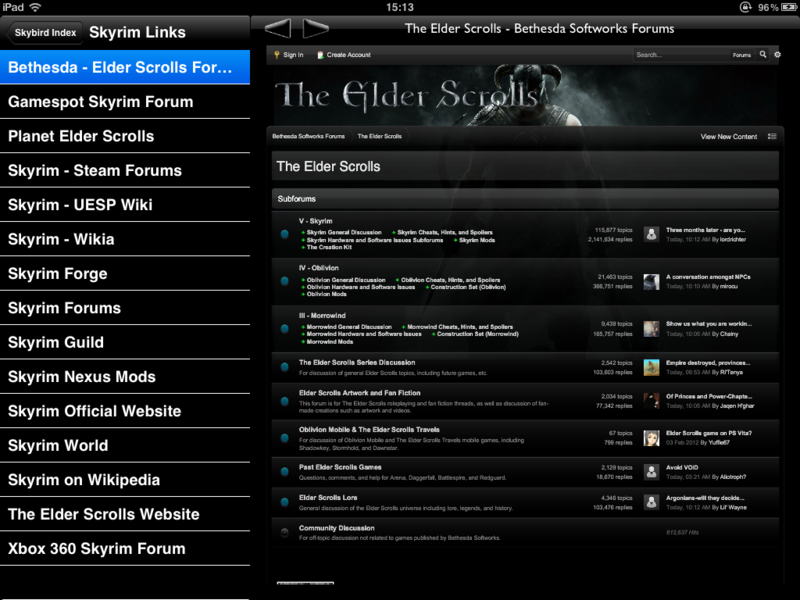 Skybird HD includes a Links section which will take you to some of the most popular Skyrim websites. Invaluable reference information to help you play the game and stay in touch with the community. 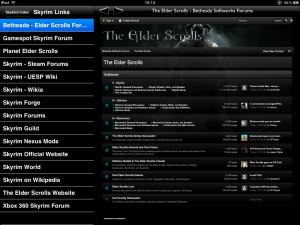 Unlike the current iPhone / iPod version, the iPad version of Skybird allows you to browse these websites within the App itself, in a custom-made browser designed to reflect the themes of Skyrim. So in Skybird HD you can pop into your favourite Skyrim and Elder Scrolls websites to keep in touch, and then instantly go back and look something up in the rest of the App. A future update will allow personal bookmarks. All future updates will be free.